With many newer computers (desktops and laptops), you may need to do some adjustments to BIOS settings to be able to boot with USB thumb drive! See below. This is a bootable USB thumb drive with the most recognizable and user-friendly Linux Operating System – Ubuntu! Comes in 32 bit and 64 bit, including Ubuntu Server! Ubuntu includes software for everyday computing - Office Suite, Web Browsers, Video, Photo Editing, Multimedia, Games and so much more! Includes lifetime free updates and multi-language support. Install or Run directly from USB alongside Windows or Apple MAC OS X Live! Boot Repair Disk is also included on the USB as a bonus, Boot Repair Disk - is a live CD that repairs multiple Linux distributions. Boot-Repair Disk repairs the GRUB boot loader of Linux and can repair multiple editions of Microsoft Windows operating systems. 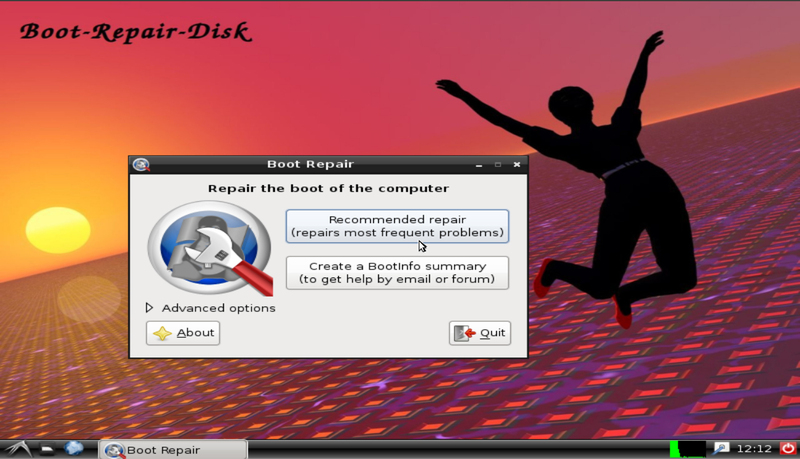 Boot-Repair-Disk serves as a free recovery disk with a one-click repair design system. It does not require internet connection to run! 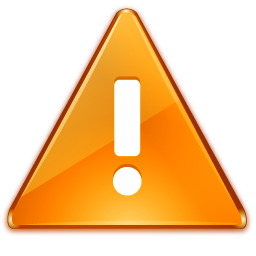 *** Sometimes you may need to adjust your BIOS settings to allow booting with USB! NO internet connection required, everything you need is on the USB drive! Restart your computer and wait for that first screen to pop up. Often, it'll say something like "Press F12 to Choose Boot Device" somewhere on the screen. Start tapping that key. If for any reason it won’t work – restart your PC and try again. Once the menu comes up, select the USB option and press Enter. It may show: “Press any key to boot from USB” during which you have several seconds to press any key to continue - please observe the computer screen if it asks for it. 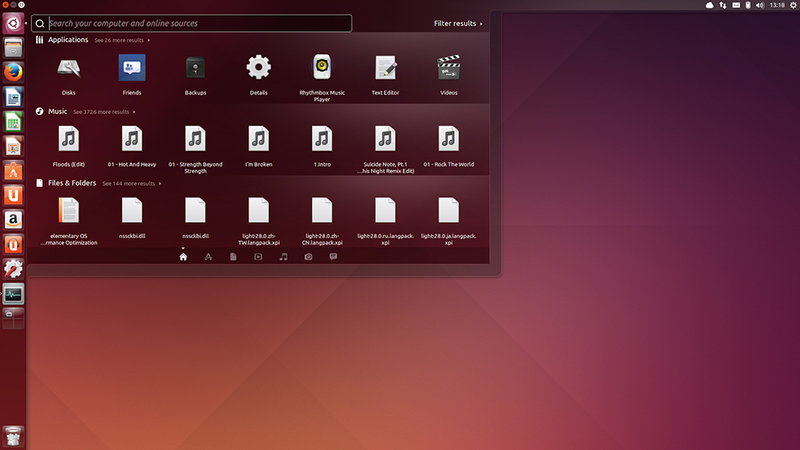 Once it boots to the main menu, select Linux Distributions -> to install/run live Ubuntu Operating Systems or select System Tools -> to run Boot Repair Disk. 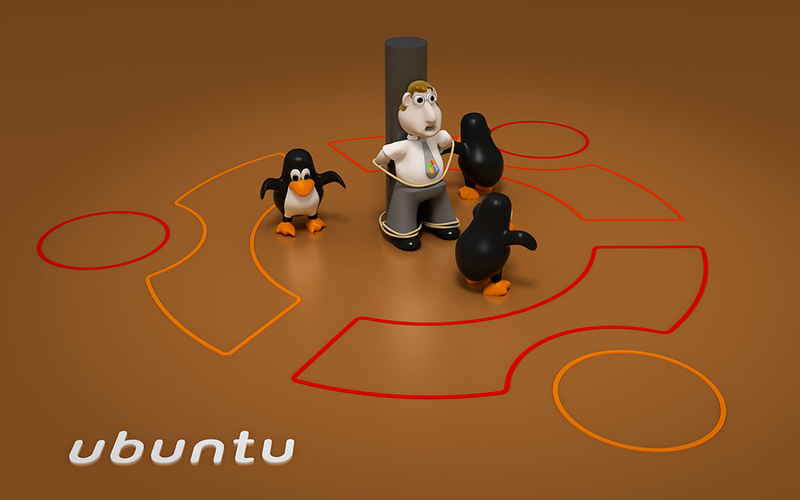 More INFO about Linux Ubuntu HERE! Great for Mining Cryptocurrency like: Bitcoin, Ethereum, Ripple, Litecoin, Monero, etc. 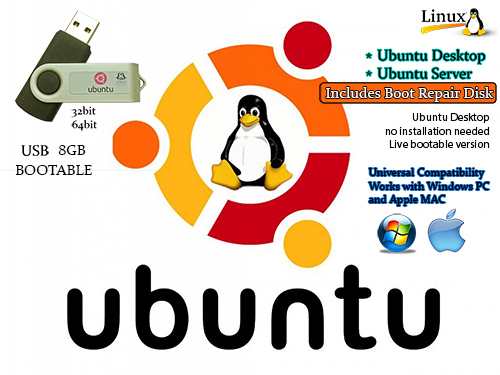 Purchase Linux Ubuntu USB Drive!